Bitter Greens by Kate Forsyth is essentially the story of Rapunzel, a children's story we all think we know pretty well. However in the hands of Australian author Kate Forsyth - who is currently undertaking a Doctorate in fairytale retellings - the story is told anew and adult readers are in for an absolute treat! Early on, we meet Margherita, a young girl living with her parents on their modest income until she is cruelly snatched away by a witch for payment on a promise made by her father a long time ago. Charlotte-Rose de la Force is living at court in Versailles, France until she falls out of favour with the Sun King Louis XIV and is sent to a nunnery. Always writing stories, Charlotte-Rose is keen to listen to an old tale from one of the nuns about a young girl sold for a handful of bitter greens. La Strega Bella is the witch who locked Rapunzel in the tower and we are given a first person peek at what drove her to those extremes. The reader is taken back to her time as a young girl to find out what drove her towards the dangerous world of dark magic. Three lives, three women all interconnected with elements of historical fiction combined with fairytale and magic make for an enchanting and compelling read and I was glued from the first few pages. Even the cover is enticing, and I knew by page 50 that Bitter Greens was going to be a 5 star read for me and I relished every page. 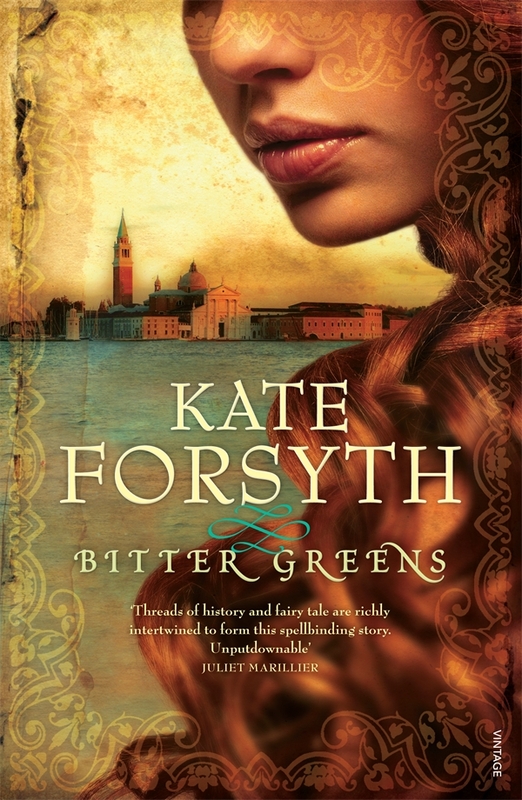 Finally, I recommend Bitter Greens to readers who enjoy historical fiction, fairytales and those who enjoy stories with passion, love, hardship, revenge and redemption. (P.S. I'm also pleased that Bitter Greens qualifies for both reading challenges). I loved this too, one of my favourite books this year! I've been recommending it ever since I finished it. I only just finished reading Bitter Greens. It is a remarkable retelling of the Rapunzel fairytale and the three different lives and times very deftly interwoven. And...I just LOVE your blog....it is BEAUTIFUL. Stopping by from Carole's October Books I Loved List. NEW FOLLOWER...forgot that in the other post. Hi Elizabeth, thanks for your kind comments, I'm glad you like the book background, I put a lot of effort into the design and look of my blog, so glad you like it :-) And thanks so much for following. (Apologies for the delay, I'm overseas at the moment). I'm off to check out your blog. Great, thanks! What's your email address?